I've always thought Final Fantasy X-2 was rather underrated by the Internet At Large. 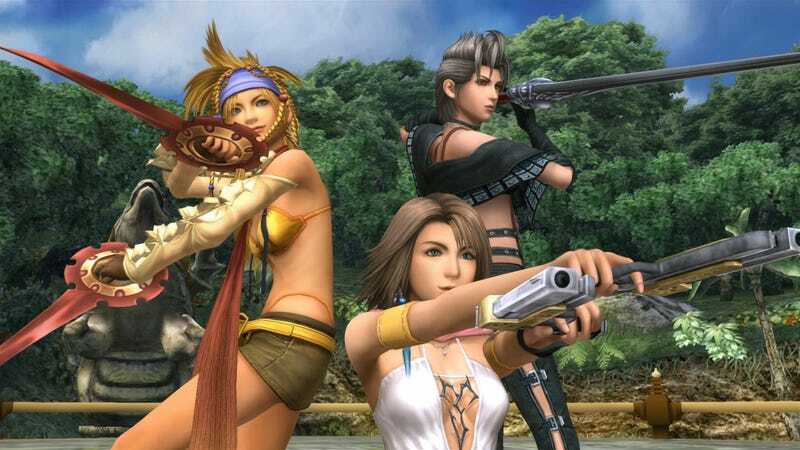 Square's FFX sequel always got a bad rap because of the whole "pop group" thing, but the class-based combat system was actually kind of brilliant, and I dug revisiting the minigame-filled world of Spira to see how things had changed. Of course, I could be remembering this all wrong, and the game might actually be horrible in retrospect. Good thing they're remaking it so we can all see for ourselves. And the remake looks quite pretty. Below you can see a bunch of new screenshots released by Square Enix today. Both FFX-2 and FFX are coming to PS3 and Vita later this year—for PS3 as a package including both games, and for Vita as separate titles. Well, okay. Yuna looks kind of creepy there. But the rest look good!